The Big Shed is now up and running! The Big Shed at Tombreck is a new local facility and it is now officially up and running! It’s aim to provide a much needed community hub, serving many of the same functions as a traditional town hall or inner city community centre at the same time as providing an affordable resource for locally run businesses that are too small to afford premises of their own. 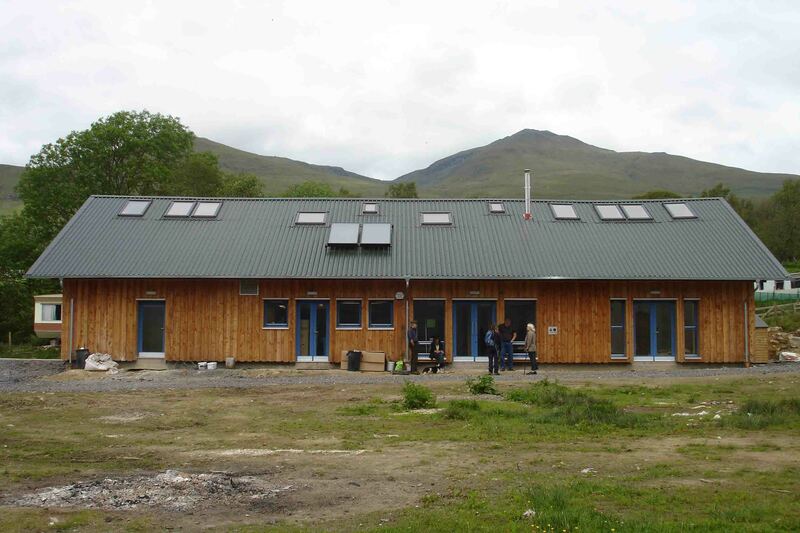 It is a publicly owned building especially, but not exclusively, for the residents of Loch Tay and Glen Lyon, managed by the volunteer board and single staff member of the LTCIC: a ‘not-for -profit’ company with sustainable rural development and community empowerment at its heart. 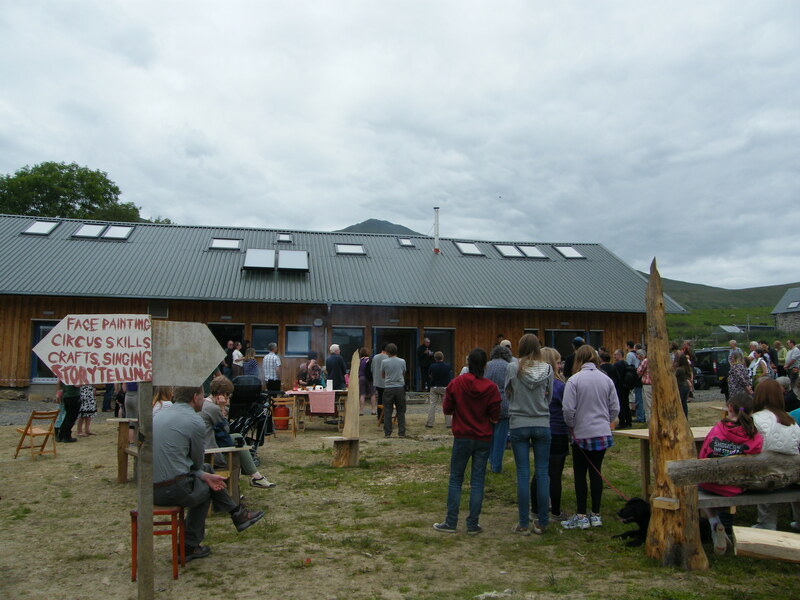 The vision of the Big Shed attracted funding from several grant schemes, after the land was generously gifted by the private landowner of Tombreck farm. The Big Shed celebrated it’s opening with a hugely successful launch party at the beginning of July, attended by over 200 people. There was something for everyone, from guided talks about the development, music to suit all tastes from pop to classical in the main hall, cookery demonstrations in the commercial kitchen, hands on craft activities in the large workshop area, and displays of Forest School work from Killin Primary. Outside the building, many enjoyed the sunshine and took advantage of an all day barbeque manned by Julia and Laurie Lane from Fearnan. There was archery, singing, face painting, a bouncy castle, story telling in the yurt and a demonstration of circus skills. As the afternoon progressed into the evening and more people arrived, a fantastic buffet, conjured up in The Big Shed commercial kitchen, was laid out in the main hall for all to enjoy. The Loch Tay Steamers then took their musical instruments outside and an informal ceilidh continued far into the evening. The Big Shed is now available for bookings, so please contact Jane Watts to arrange a visit if you missed the launch and call to make a reservation or discuss ideas you may have. The building is here for you all to use and is very affordable. The building has been booked for classes, talks and workshops, including Perthshire Open Studios in September. The kitchen proved particularly popular with local groups.